The ComposiMo Slip-in Stretch Kit for the Kawasaki Z125 Pro! Yes, it is finally here! What more needs to be said about the ComposiMo Slip-in Stretch Kits... Our Stretch started it all with the Honda Grom, and is by far the best option available for the Grom has now been made available for the Z125 Pro! 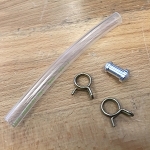 This stretch kit is Made In The USA, IN-HOUSE here at ComposiMo Fabrication! This kit is not just a re-hashed Grom kit... it may look similar, but we basically started with a blank paper on it. We wanted it to look similar, but if something could be made better with it, we made it better! 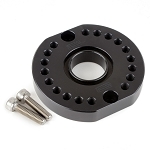 Other than the included Billet Spanner Wrench/Bottle Opener, the kit uses entirely different components. 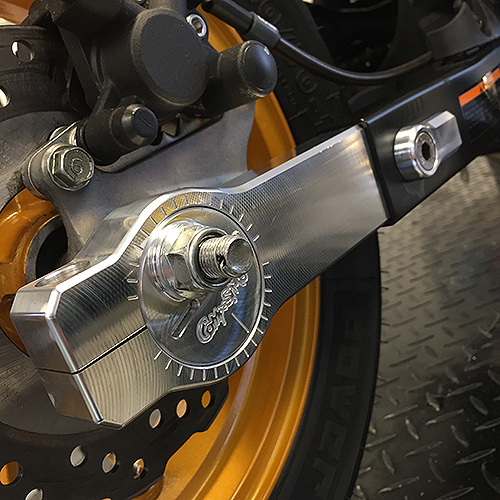 Thanks to how the Z125 is designed, we were even able to clean up the rear brake mount tremendously as compared to the Grom kit! This kit is adjustable from 5-6" or stretch, depending on where the adjuster is in the range of motion.